Is This the Proper Parish For Your Celebration Of The Sacrament of Matrimony? A meaningful celebration of the Sacrament of Matrimony in the Catholic Church usually implies active membership and participation in a local Catholic parish. Customarily, the wedding ceremony takes place in the parish in which the bride or groom resides or intends to reside, and is celebrated by the pastor, parochial vicar, or deacon of that parish. 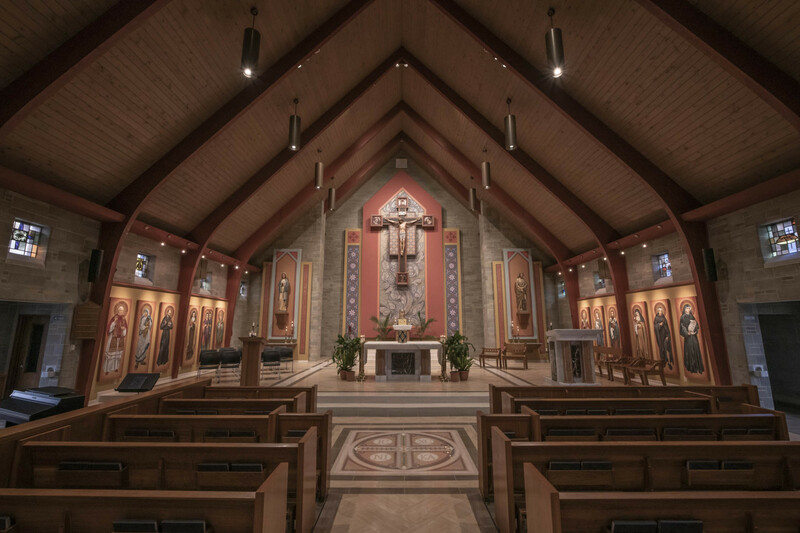 If you live within the geographical boundaries of Our Lady of Perpetual Help, or if you regularly attend and are registered here, then our Church is the proper place for you to celebrate the sacrament. Even though you are not technically a member of Our Lady of Perpetual Help, you may have a long-standing relationship with our parish. For example, you may have grown up here and your parents are still active members. If this is the case, we can most likely schedule your wedding here. If you do not reside in this parish and if you are not registered, you would ordinarily be married in the parish in which you reside. However, with permission of your proper pastor and the pastor of Our Lady of Perpetual Help, and with proper motivation for choosing Our Lady of Perpetual Help, permission can be granted for you to be married here for an additional fee. Non-parishoner weddings are rarely celebrated at Our Lady of Perpetual Help and only under special circumstances. Factors such as date, convenience to family, and location of reception are not considered special circumstances. Because marriage is such a serious commitment, the process of preparing for the Sacrament of Matrimony involves several important elements. The preparation process…this period of prayer and discernment…is not simply about preparing a beautiful wedding day. It is about preparing for the rest of your lives together in a faithful, Christian marriage. For this reason, all wedding arrangements must be made at least six months before the day of the ceremony so that you have sufficient time to allow God to speak to you about His will in your lives.